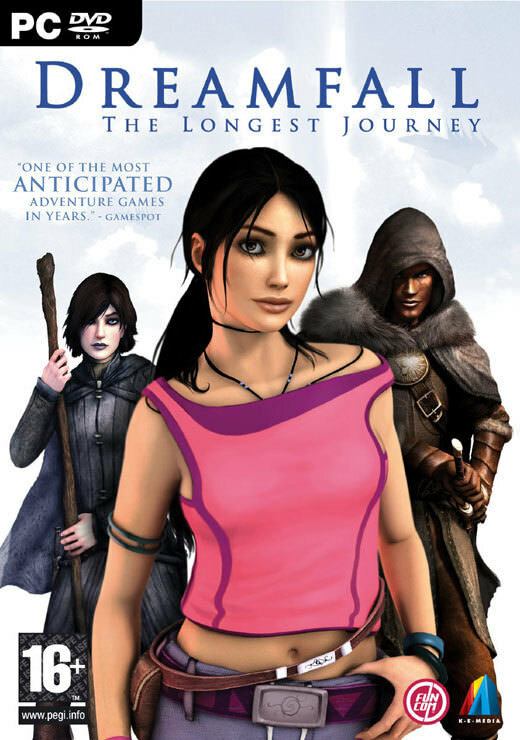 Dreamfall: The Longest Journey is an adventure video game with elements of action-adventure, developed by Funcom and released in 2006 for Windows and Xbox. Dreamfall is a thrilling action-adventure featuring three playable characters, dozens of locations spanning three worlds, exciting set-pieces with multiple outcomes, action-packed adventure gameplay, and an epic and emotional storyline. You will never run out of new things to do! Explore exotic locations, travel between three worlds, embark on epic quests, converse with fully voiced characters, fight intelligent monsters, sneak through dark shadows and past dangerous enemies, solve intriguing puzzles, and play fun mini-games. Experience the story from three separate perspectives, and use abilities unique to each character: strength, street-smarts, and dexterity. Interact with the environment through the use of the brand new Focus Field feature, an easy-to-use context-sensitive interface, and fully analog character controls – giving you total power over your character. If you need more information please contact the developers of Dreamfall: The Longest Journey (Funcom), or check out their product website.